The inspiration for this piece came from an old picture I found of the Times Square area. 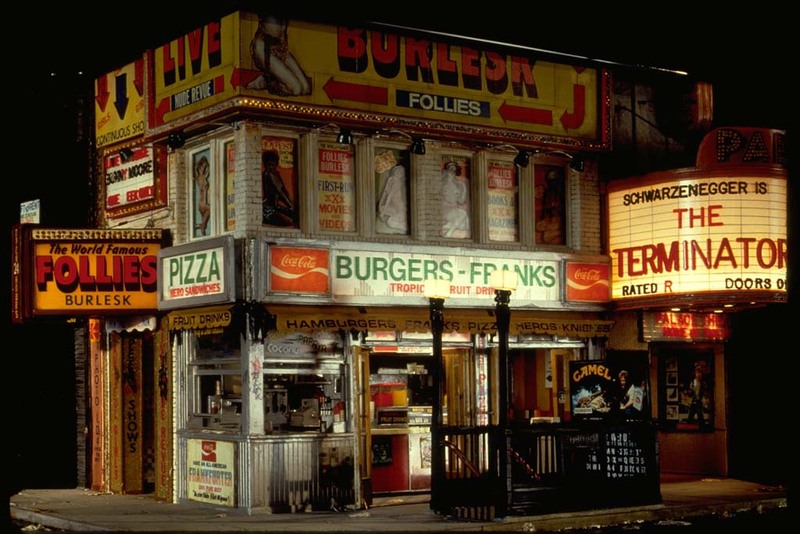 The original Follies Burlesk stood on the corner of 46th Street and Broadway. It was above a Howard Johnsons' Restaurant, and had the design and look of something right out of the 1950s. 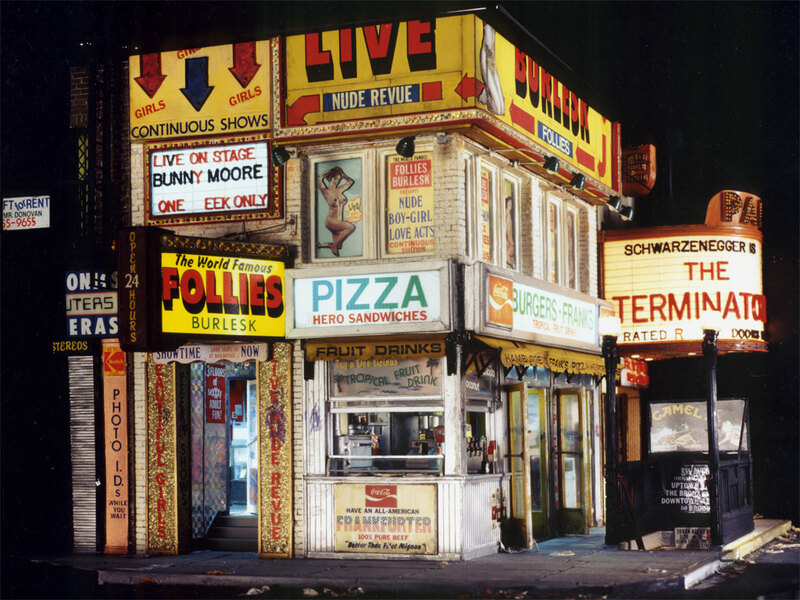 I decided to incorporate some of the original signage and combine it with a classic New York hotdog place downstairs. The view under the Follies marquee takes you into the adult bookstore, complete with magazines and sextoys. The bookstore would be the opening act for the main event that goes on upstairs where Miss Bunny Moore is performing this week. The hotdog place has a completely detailed interior, and there is a view down the stairway leading to the subway station. The movie theater next door has poster images of our now-governor of California wreaking havoc on civilization.